Choose Youth questions Labour’s silence re Youth Work. Meanwhile in Scotland…….. The Choose Youth campaign met this week and was disturbed to find no mention of the Youth Service and importance of youth work in the Labour Party’s pre-manifesto Policy papers. As a result the campaign is calling on all activists in the Labour Party to try and ensure that one of the ten amendments to the document that have to be submitted by June 13th is on the Youth Service. The campaign is suggesting a form of words that Labour Party members could use – see below. 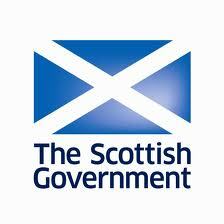 Meanwhile in Scotland a different note seems to be sounded by the Scottish Government. The Minister for Children and Young People Aileen Campbell launched the national strategy on April 3 at the National Youth Work Summit in Edinburgh to help widen access and support and expand the 73,000-strong army of volunteers and workers in Scotland. “More than half a million young Scots participate in youth work on a regular basis, giving them the chance to develop skills, self-confidence and a sense of connection with others. It widens their horizons and helps them make positive choices in their lives as they move into adulthood. It would be illuminating to hear from Labour Party activists about their perceptions of the party’s position on youth work. It would be fascinating to hear from workers in Scotland about their sense of the relationship between the government’s rhetoric and practice on the ground. It is important to add that YouthLink Scotland, the national agency for youth work, has had a significant influence on the government’s thinking. From a CYW/Unite member do not give the labour party 1p until we have a commitment to invest in a statutory youth service.